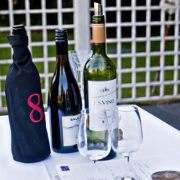 Our Suffolk based wine tastings are a great way to catch up with friends at home for a birthday or anniversary, or as corporate events for clients or team building with colleagues. We have a number of different wine tastings and formats to entertain as well as educate, with all the most important element is having fun. If you are looking to go out restaurants with private rooms are a great place to have a wine tasting followed by a meal. We have worked with a number of venues in Suffolk that we are happy to recommend. The the travel costs for Suffolk range between £20 to £40 depending on whereabouts in Suffolk you are located. This is subject to availability so do get in touch to find out more or check availability.